CS-Cart Multi-Vendor is a shopping cart for building an online marketplace with many sellers like Amazon, eBay, Etsy. It's a place where different vendors can sell and manage their products via one common online store. 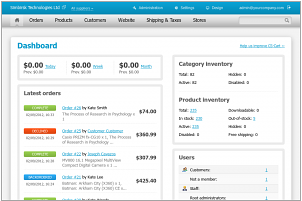 It a top-rated marketplace solution on Capterra. Check the opinion of the real users! It's a perfect solution to combine plenty of small stores on one domain address and make money on commissions. The sellers pay commissions to marketplace administrator, the administrator makes payouts to sellers. Multi-Vendor is the profitable marketplace platform among the existing solutions on the Internet and having tons of must-have e-commerce features, its price is adequate even for start-up projects. Note! 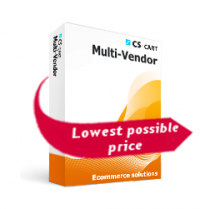 We offer the lowest possible price for CS-Cart Multi-Vendor. Check it with the price on the official CS-Cart website. Moreover, this marketplace solution is constantly updating due to the clients' ideas and there is a huge community that can help with any question absolutely free. The ability of multiple entrepreneurs to sell their products via one common storefront. It turns an online store into a virtual shopping mall with lots of goods supplied from all over the world. If products from different sellers appear in one order, this order is automatically divided into several ones depending on the number of sellers supplying the purchased goods – one order per each vendor. All payments go to the account of a root administrator who then distributes funds among the sellers according to the history of orders. Payable amounts are tracked separately for every vendor that makes the accounting process clear and structured (available for Multi-Vendor Plus edition). An unlimited number of vendor accounts. Separate admin panel for every seller where a seller can manage his goods and choose necessary settings. 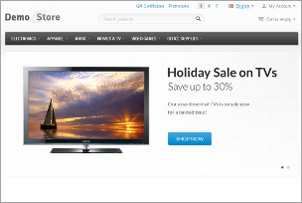 Root administrator has total control over the whole store and all vendors' actions. Vendor-specific shipping methods. Every seller can configure own shipping methods and customers whose orders contain items from several vendors select vendor-specific shipping options at checkout. We can't help to pay your attention to CS-Cart Multi-Vendor page load speed. It's quite good because developers are constantly optimizing the solution to meet the latest trend in creating fast online stores. We offer the lowest possible price for the Multi-Vendor marketplace. Sometimes, there are discounts. If you find this edition for less than our displayed price, please contact us.